We suppose everyone has heard about this by now…BBC Interactive is developing a Facebook game allegedly based on Jane Austen’s novels. We find Facebook games tiresome, and we really hope that’s not the actual art for the game. What’s with that hairstyle? Yes, we know, we’re a party pooper and an old fuddy-duddy. You kids go have fun now. 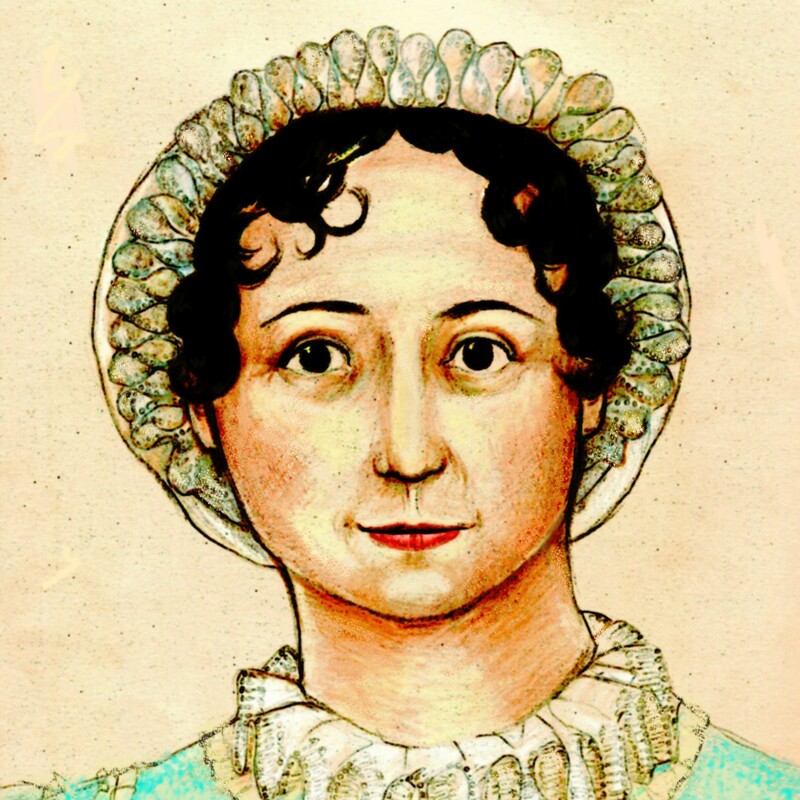 Jane Austen: The Unseen Portrait? It’s Read an Ebook Week! Mags, I share your horror. But Jane Austen will still be read long after the kids become bored with the game. So all your techno-gadgets are just to improve the speed and availability of your old-fashioned hobbies, huh? That works. I occasionally try online games but I get bored and wander off. Yeah–for a gadget geek I am oddly game-averse. I have Tetris and Angry Birds on my fancy smartphone, but that’s it. The main reason I got a smartphone is to be able to check my personal e-mail during the work day. I wouldn’t mind having a Wii or that Kinect thing or however you spell it, but living in a third-floor apartment, it would not be kind to the downstairs neighbors, I think. I guess it’s a form of techno-fanfic. But being neither a fan of fanfic nor of facebook games, I think I will be giving this one a pass. That is some weird hair on Mrs. Darcy, isn’t it? Surely anything to do with Jane Austen, however dumbed down, has to be better than Farmville?